Professor Satchell has been married to husband, Arthur Satchell for 28 years. They are Baltimore County residents. She is the mother of two married daughters: Shonda and Asia. She has three grandchildren as well as two great-grandchildren. In 1994, Professor Satchell and her oldest daughter (Shonda), graduated from Coppin State University. In 1996, she earned a Master’s Degree in Applied Psychology from the University of Baltimore. In 2002, she also earned a Certificate of Advanced Study in Pastoral Counseling from Loyola University. Professor Satchell is currently a doctoral candidate in Educational Leadership at University of Phoenix and will graduate in fall 2016. Professor Satchell is an educator; her collegiate experiences include 20 years of teaching at post-secondary institutions. She worked as an Adjunct Professor for four years at Baltimore City Community College (both campuses). 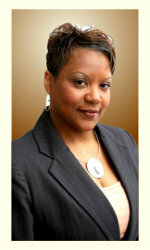 Since 1997, she has served in several different teaching positions at Coppin State University. She served first as a part-time Adjunct Faculty Member, later as a full-time Instructor, and then as an Assistant Psychology Professor in the Department of Applied Psychology and Rehabilitation Counseling. She is currently working full-time at Coppin State University as the Coordinator of Community Standards/Judicial Advisor as well as a Title IX Team Member. Most importantly, she is also serving as an Adjunct Faculty Member teaching upper level counseling courses. Professor Satchell has worked within the counseling field for several years, conducting family, group, and individual therapy. Her clients have included children, unwed mothers, displaced homemakers, college students, and people in recovery. In addition to teaching and counseling, she has also assumed various leadership roles. 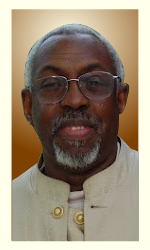 Professor Satchell is currently serving as the President of the Board for the Light of Truth Center. She served as the Coordinator for the Applied Psychology Program. In Addition, she served as the Faculty Advisor for the Psi Chi International Honor Society as well as The Psychology Club for over ten years. She also served as a Faculty Mentor for student-athletes. Professor Satchell has traveled internationally with students in study abroad studies to Egypt and Ghana. She is a published author and has presented her research at regional, state, and international conferences (London and Spain). Rose Fauntleroy is the owner of Fauntleroy Enterprises, LLC, an entrepreneurial small business growth management company that evaluates business operations and efficiencies’ to strategically implement new ideas for continued small business growth. With greater than 20 years of experience in the legal and corporate fields she has varied actual experience in helping small businesses grow. She has also served as a Litigation Paralegal/Office Manager for a law firm in Virginia for the past 16 years with a focus in Workers’ Compensation and Social Security Disability. She is an upcoming author of “Capturing your Dreams to Live the Life you Desire” to be released in early 2014. She believes that we all have “Life Dreams” and in order to “Capture” them you need motivation and a plan to assist you on your journey. She has a caring interest in helping people grow and thrive through service and philanthropy. Her life’s goal is to be a continual ” Truth-seeker”. She attended J. Sargent Reynolds Community College and Virginia Commonwealth University concentrating in Business and Paralegal Studies/Litigation. Kim has roots in the Light of Truth Center. Her struggle with cocaine addiction ended once she became a resident at the Light of Truth Center in 2004. The programs and support she experienced during the twenty-two months she lived there helped her stay clean and sane for the past ten years. She is practicing principles learned and has become a successful employee, homeowner, grandmother, and mentor. Kim has always been a compassionate person and a positive influence to everyone. She is eternally grateful for God’s grace and mercy; and for The Light of Truth Center. Kim is a graduate of Mergenthaler Vocational Technical High School. Upon her gradation from the Community College of Baltimore County in 2014, she will receive her Associate of Arts Degree. Kim was born and raised in Baltimore Maryland is the youngest of five children. 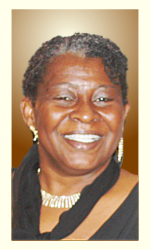 Nilene served within the Social Security Administration for over 30 years. She is skilled in Project and financial management as well as a Proofreader. 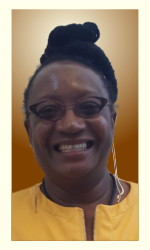 Her key skill is conducting studies and evaluations for organizations, thus providing them with accurate and statistical data that enhances their day-to-day operations She is an active member of Payne Memorial A.M.E. Church. 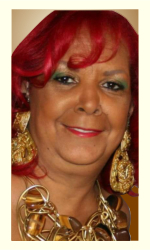 She is currently an active volunteer at the Maryland Correctional Institute for Women and the Kairos Prison Ministry International Inc.
Pamela R. Frazier is the grandmother of nine, great-grandmother of two and mother of five. Pam is a National Certified Addiction Counselor and is also certified in Domestic Violence and HIV Awareness. Pam worked in the field of addiction over 30 years and retired in 2012 from The Women’s Treatment Center after working there over 21 years. 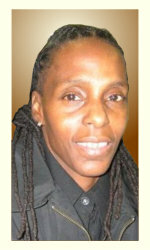 Ms. Frazier was named Addiction Counselor of the year in 1995 by The State of Illinois Addiction Certification Board. Ms. Frazier felt that addiction counselors should be acknowledged for the work we do; working with people struggling with addictions and helping them rebuild their lives and relationships with family, so in 2002 she initiated National Addiction Counselor Day, and on September 25, 2002 The First National Addiction Counselor Day was celebrated across America, today it is referred to as National Addiction Professional Day and is celebrated every year on September 20, during Recovery Month. The vision came because of her own recovery (26 years) from addiction and her spiritual teachings from The Johnnie Colemon Institute, where she has a Master and Master Plus Certificate. In 2002 she founded N’ The Spirit Transformational Living “Where Miracles Happen” (NTS) Recovery Home for women, which is licensed and funded by Illinois Department of Substance Abuse (DASA), she has helped over 350 women, who have lived at NTS. Alicia D. Daye is a retired Gunnery Sergeant of the United States Marine Corps. She completed her Masters of Science degree at Strayer University in Information Systems Management. She is currently a motivational speaker for compulsive behavior change recovery; traveling nationally and internationally. 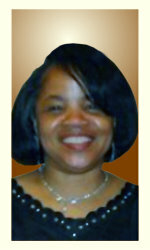 She is a retreat and event planner and conducts a support training group for the Light of Truth women monthly. Roy is a retired Information Technology professional with over 20 years experience demonstrating enterprise management software installation, configuration and administration skills, network administration skills, development and implementation of network security policies and procedures, personal computer hardware and software installation and maintenance, monitoring system performance and troubleshooting, network hardware and software installation. Have to ability to interact with hostile customers and assist in resolving their issues. His critcial skills are Community activism and service through community organizing, political campaign planning and stratagem and solicitation of federal, state and local funding for social programs to benefit those in need. Various computer and technology skills. He is an expert in the following: CA Unicenter TNG, CA Advanced Help Desk Option, CA Advanced Storage Option, Remote Control Option, CA Automation Point, CA storage applications (ArcServe, SRM, Mail Manager), Windows 2003 server, Windows NT Server 4.0 and 3.51, Microsoft Systems Management Server, Microsoft Exchange, Microsoft Office Professional, Windows 2000 Professional, Windows NT 4.0 Workstation, Windows 98 and network security.